With our newsletter you will receive information about our events and our operations. A short summary of who we are and what we stand for. Raoul Wallenberg Academy is acting in the spirit of Raoul Wallenberg, by supporting young people to find the courage to make a difference and to take action for equal rights. 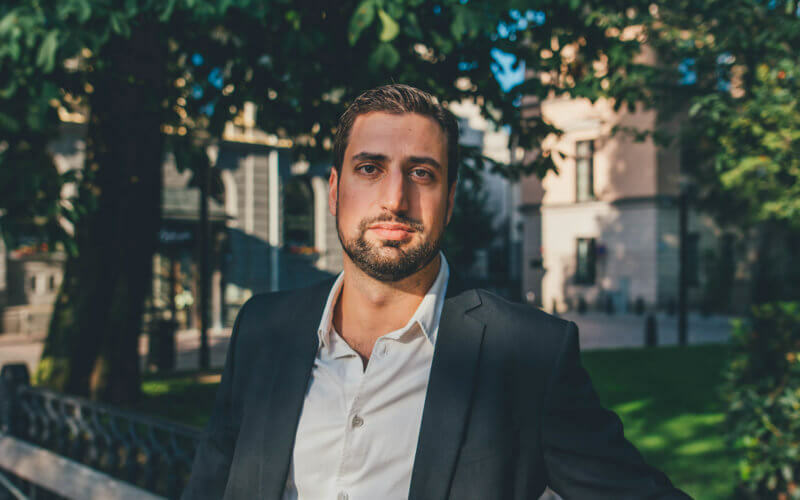 We cultivate the four qualities common to positive change-makers in society such as Raoul Wallenberg: empathy, courage, leadership and cooperation. We do this by offering tools, education and long-term school projects. Raoul Wallenberg Academy was founded in 2001 by, among others, Raoul Wallenberg’s sister Nina Lagergren. Raoul Wallenberg’s Day occurs on 27th of August, the national day for equal rights, and civil courage. This is the first national day in Sweden to commemorate and honor a civilian. During the day we host a prize ceremony in Stockholm to awarding persons and municipalities acting with civil courage and humanity. One of the awards during the prize ceremony on Raoul Wallenberg’s Day is the Raoul Wallenberg prize. It goes to a person that works in Sweden in Raoul Wallenberg’s spirit, through knowledge increasing efforts for children and youth about xenophobia, intolerance and all humans equal value. The prize sum is 100 000 SEK and shall go to continued knowledge increasing efforts. The award is given with support from the government. 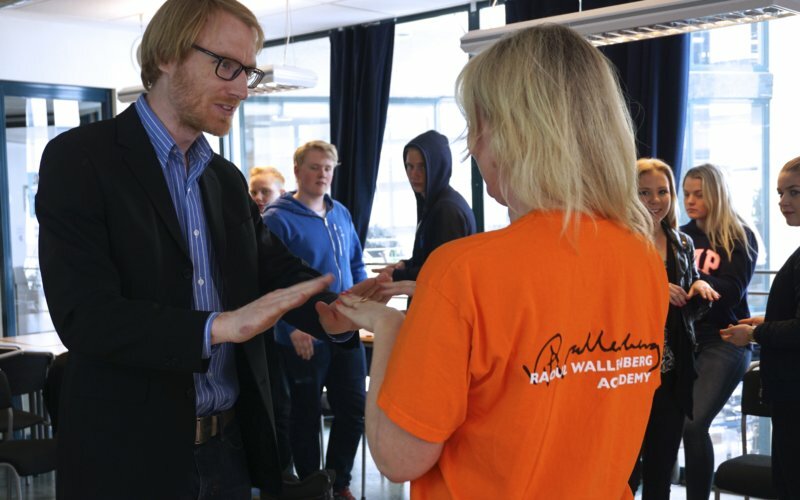 Raoul Wallenberg Academy provides leadership programs. The Train-the-Trainer program aims to help students to build and be grounded in their values, and build leadership skills in students for a more human society. Changemaker Camp is a program that focuses on social entrepreneurship amongst youth. Raoul Wallenberg was a young man who went his own way. As a Swedish diplomat, he worked at the Embassy in Budapest during the final stages of World War II. His deeds in Budapest are unique; through courage, knowledge, organizational skills, audacity, and ingenuity, he was able to save tens of thousands of Jews from the Holocaust. Raoul Wallenberg was born in Stockholm in 1912. In 1944 he was recruited by the American War Refugee Board to travel as a Swedish diplomat to Budapest. By that time, the Nazis had already sent over 435,000 Jews from the Hungarian countryside to the concentration camp in Auschwitz. In Budapest, 230,000 Jews remained, who were restrained to live in certain houses and forced to wear the yellow star of David visibly on their chests. In Budapest, Wallenberg issued protective passports and sheltered Jews in buildings designated as Swedish territory. This way, he could save tens of thousands of Jewish lives. As the Red Army arrived in Budapest towards the end of the War, they captured Raoul Wallenberg. His fate is still unknown. No Swede has had so many schools, streets, and parks, named after him as Raoul Wallenberg. There are monuments in his honor all around the world. He is an honorary citizen in a number of countries. Do we teach students to listen to their inner compass today? How do we encourage a culture where everyone dares to show civil courage? 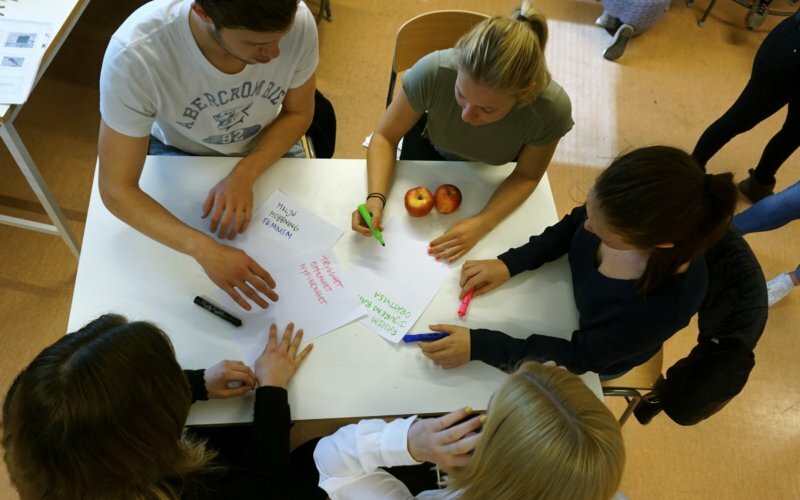 Raoul Wallenberg Academy has developed a tool consisting of a film and a teacher’s guide to prevent racism and discrimination. The film is divided into five chapters. The teacher is pausing the film and allowing students to reflect on an issue. Below is a trailer of the film. Here is the teachers’ manual in Swedish. An instruction manual in English will be produced. Are you interested in the full film in English: please contact Lisa Gawell. The Cube-method ”Every person can make a difference” aims to inform students about human rights and equality. As part of the project, black “cubes” (2*2*2 meters), are sent to selected high schools around Sweden. The students are given the opportunity to creatively interpret one of the thirty human rights from the UN Declaration of Human Rights. This is done through texts, images, film, theater, or installations inside the cube. The students also discuss human rights, civil courage, and how one can make a difference, with the help of the pedagogical toolkit provided as part of the project. Download the toolkit here. On Raoul Wallenberg Day, the cubes are put on display in Stockholm, with the purpose of initiating debate about human rights, civil courage, and equality, with Raoul Wallenberg as a source of inspiration. Through a cooperation with the Swedish Institute we are now working with schools in New York, Paris, Madrid and Budapest. There are over 100 things you can do to create a better world. We have collected 100 examples in a list, made as a poster. # 1. Dare to speak up the next time you hear someone use an expression you feel is racist, sexist or homophobic. # 15. Continue to help those who are new in your school or workplace to get acquainted with everyday life, not only on the first day. You can download the poster in English here. For more information about the Cube-method contact Mattias Andersson. For all other inquiries please contact Martina Högberg. YOUR PERSONAL INTEGRITY IS A HUMAN RIGHT WHICH WE PROTECT! On 25 May 2018 the EU’s new General Data Protection Act (GDPR) takes effect, which is an important and positive change regarding how we will process your personal data. We welcome this strengthened protection for individual personal integrity. Your private integrity is important for Raoul Wallenberg Academy (RWA) and is something we want to protect, which is why we want to share how we will process your data from 25 May so that you feel secure. Do you want to support Raoul Wallenberg Academy with a single premium gift. Insert your donation in to the account for our non-profit organisation.